His captaincy of the Great Britain boxing team at the 2012 Olympics ultimately created expectation too heavy for Tom Stalker to fulfil in the professional ranks. Unanimously outpointed by Sean Dodd in Liverpool tonight his career as a potential domestic titleist is likely at an end. It wasn’t just the loss, but the nature of the defeat. Out punched, at times out boxed from the outside and roundly bullied through many of the rounds, Stalker couldn’t brawl with Dodd nor maintain distance from behind his jab. As a professional Stalker has fought 18 bouts, with a ledger which slips to 12-3-3 (2) following this defeat, every encounter has been hard fought and in echoes of 2008 Olympian Tony Jeffries own struggles, he has never convinced even in victory. For Dodd, this victory, for the Commonwealth Lightweight title, could yet open up good pay days and reward his clear dedication to self-improvement and the fans he brings to the gate richly deserve. 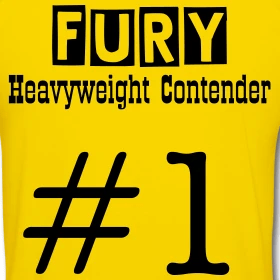 His ‘Masher’ nickname and unheralded beginnings belies a craftier, more composed prizefighter. He demonstrated good variety forced the pace but also counter punched effectively throughout and never let the favoured Stalker to settle or win any exchange or round. All three judges scored 10 rounds to 2. Which is a popular tally these days but in this instance perfectly accurate. I’m new to Dodd, following my own time away, but I’d like to see him consolidate first but believe he may yet stretch up to reach another rung on the ladder before he’s done, despite being a relative veteran at 33. Craig Evans, who fought Stalker to two draws and a Majority Decision, would be an interesting foe.